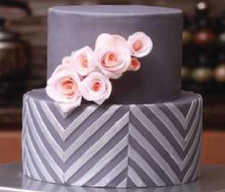 Our first three Flexabets™ were introduced in the Calligraphy, Typewriter and Swirly font styles and have been a big hit with cake decorators around the world. In response to numerous and repeated requests, it is our great pleasure to introduce our Bubble Font Flexabet™ Collection. 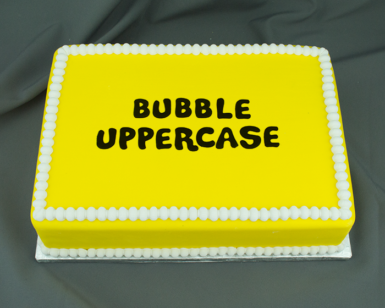 Put simply, bubble letters are just about perfect for cake because they are appreciated by children and adults alike. 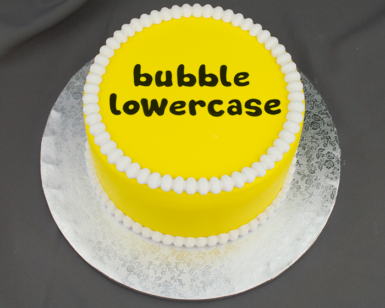 Bubble letters are fun, artistic and expressive in a way that cannot be captured by other font styles. We invite you to explore the many possibilities made possible by the creation of this new Flexabet™ collection and are sure these Flexabets™ will become essential tools for the savvy cake decorator.